Just back from my usual weekend soccer game and waiting for wife for the lunch. While I've some time to spent, just like to share a breaking news that you might probably knew. Jack Ma's Alibaba made history in the US stock market by becoming the biggest IPO launch thus far. Raised about $21.3 billions via IPO. On its first day of trading yesterday, it hits the roof by closing 38% higher at $93.89. Without a doubt, Jack Ma is the wealthiest person in China now. Personally, I didn't manage to tap on this one of a lifetime opportunity, what about you? Valued at $231 billions at the moment, I foresee that it still has potential to go further up. Take Amazon as a comparison (which has similar eCommerce business model), it was last traded at $331.32. 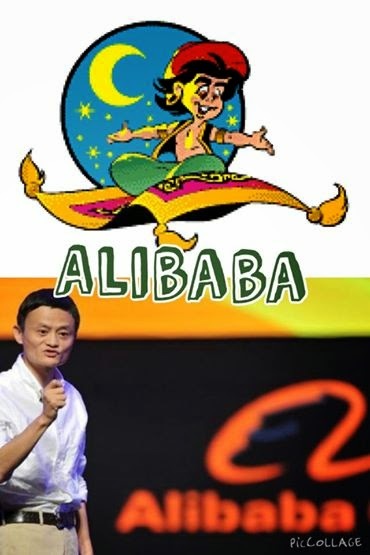 ALIBABA - it has truly transforming from a fairy tale for kid to fairy tale for adult!